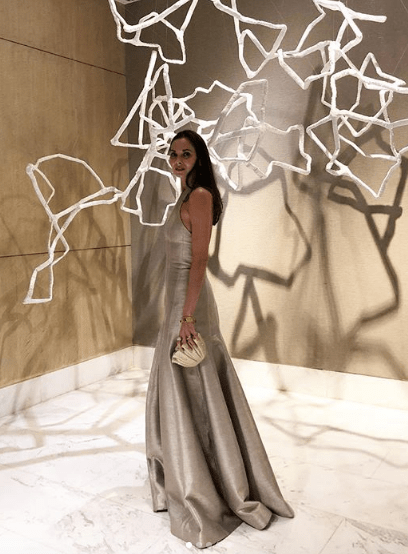 Solenn shared on Instagram that she and husband Nico only had 20 minutes to prepare for the ball. Who ever said you can’t rush perfection certainly hadn’t seen this stunning couple! Belle rocked her freshly-cut fringes and brought the cutest date to the ball, her son, Balthazar. Lovi went for a sheer, ethereal look by La Mariée PH. 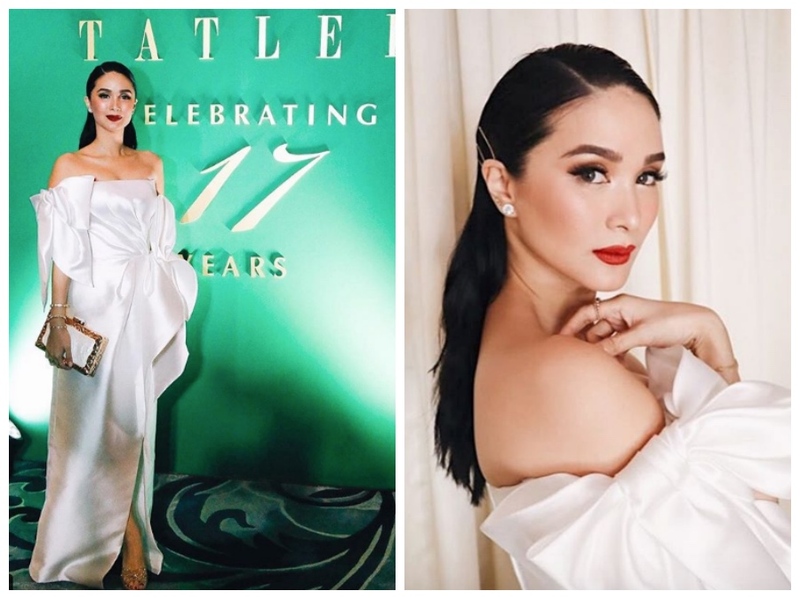 Trust Heart to always bring effortless and classic glam to any event, and she wore a silk gown with big bow details by Mark Bumgarner. She went with her husband, Sen. Chiz Escudero. Ever the dynamic dresser, Tessa proved once again that nobody can beat her when it comes to over-the-top and creative fashion. 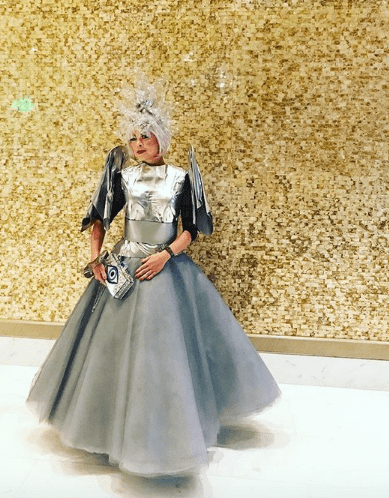 She wore a silver gown by Rajo Laurel and headpiece by Danny Katalbas. 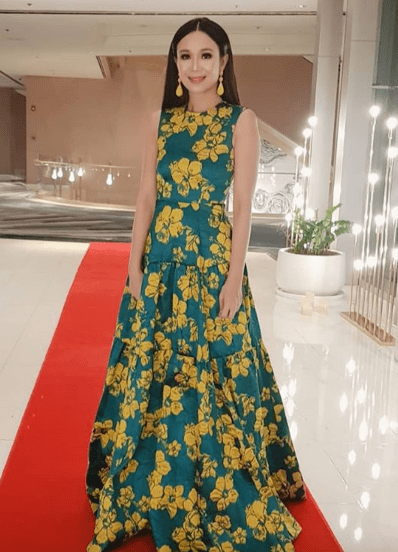 Cristalle wore a two-toned Philippine silk dress designed by Creative Force awardee, Rajo Laurel. The stunning news anchor and host wore a sophisticated piece by Vania Romoff. 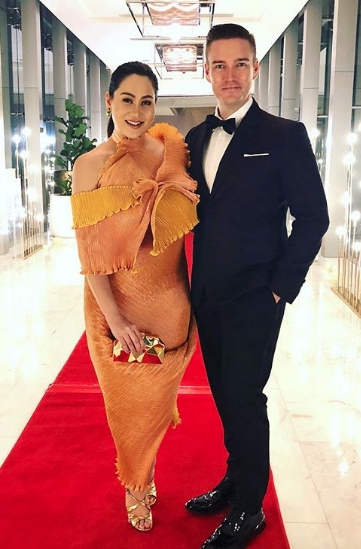 Expect nothing less from bag designer and SoFa fashion school director Amina Aranaz, who wore a mermaid inspired gown with matching shell clutch. TV host, model, and interior design specialist Stephanie turned heads in a fuchsia gown with rippled details by Rajo. Model Rima looked every bit like Cary Bradshaw in a pink ball gown by Michael Leyva. Tootsy added the much needed vibrant color and fun floral prints to the night with a Carolina Herrera gown. 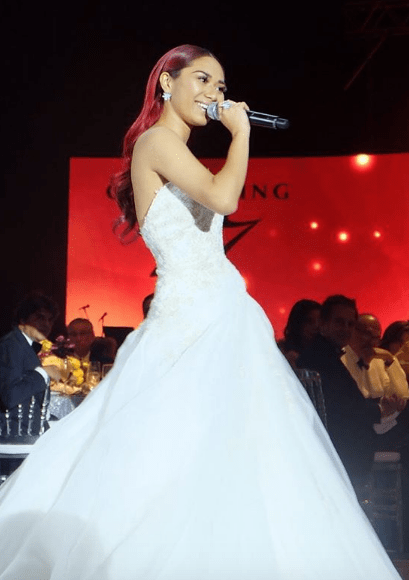 Fil-Am singer and American Idol graduate Jessica performed a song for the guests in an elegant Rosa Clara gown.